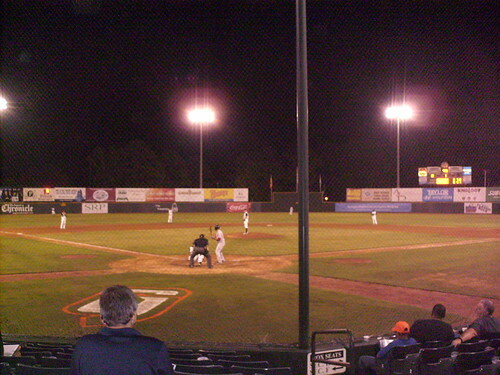 The view from behind home plate at Lake Olmstead Stadium. 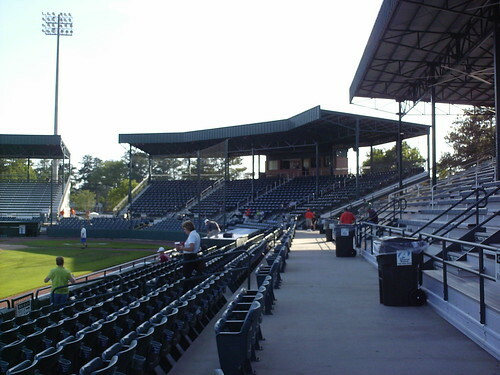 The grandstand at Lake Olmstead Stadium consists of three separate covered seating areas. 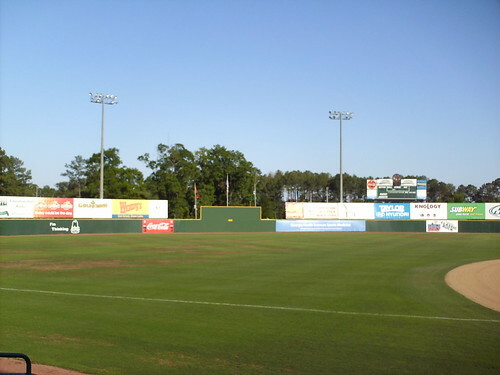 The outfield wall jumps up in dead center to form the batter's eye, before returning to uniform height around the outfield. 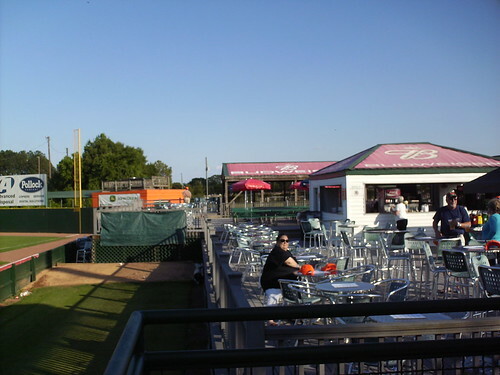 The picnic area sits overlooking the bullpen in the right field corner. 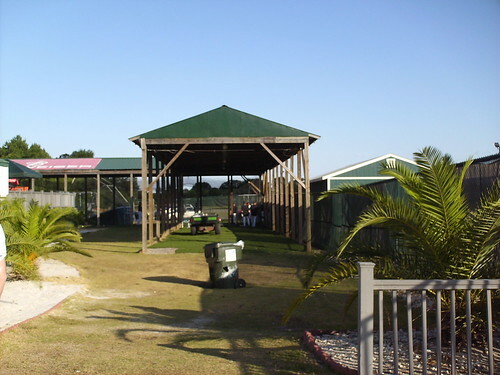 The batting cage stands behind the picnic deck. 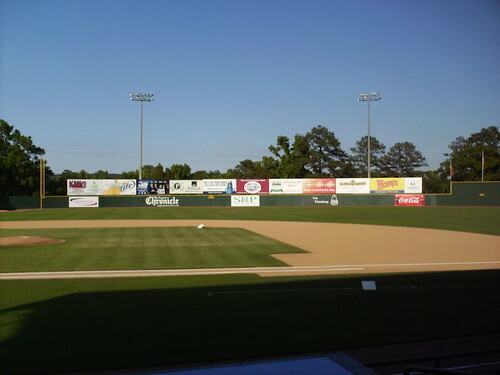 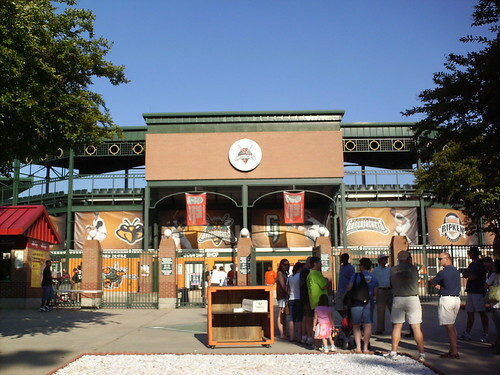 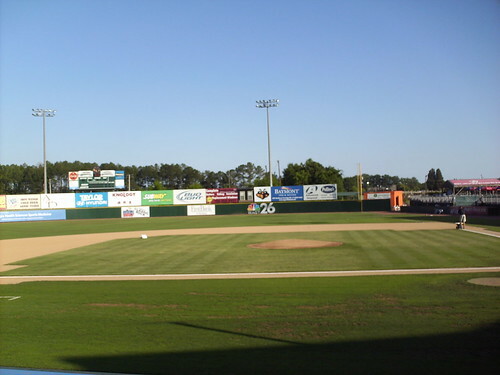 The Augusta Wall of Champions celebrates the GreenJackets championships, including the South Atlantic League Championship won while a Red Sox affiliate in 1999. 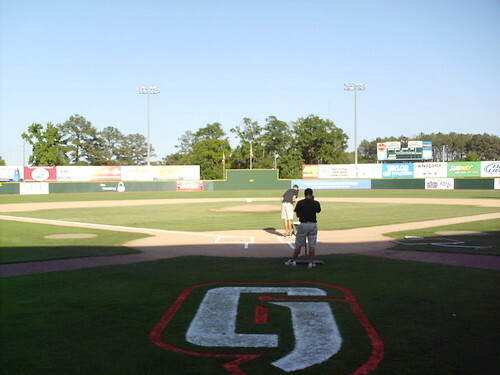 The Greenville Drive at bat against the GreenJackets at Lake Olmstead Stadium.